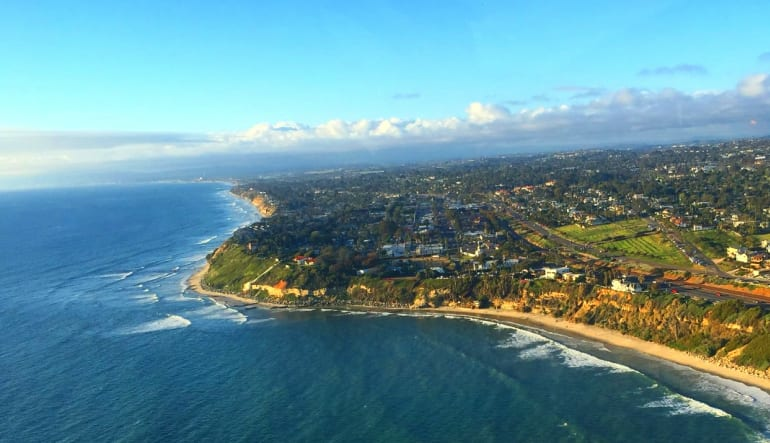 Covering all of North County San Diego from Oceanside to La Jolla Shores, this helicopter tour is major league! Cameras are encouraged so capture it all—from sunbathing seals to striking surfing attractions, towering cliffs, nature reserves, charming villages and more! 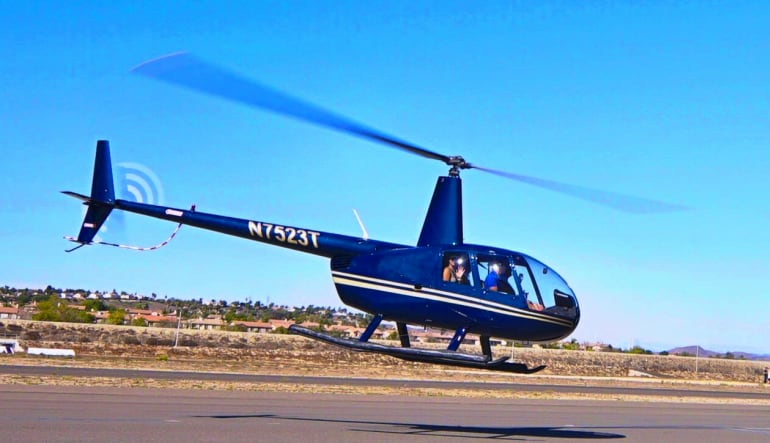 Travel in a Robinson R44 on this 40-minute San Diego helicopter tour. Spot ample wildlife including Oceanside’s lounging seals! See all the fishing boats at Oceanside Pier. Keep your eyes peeled for one of the sets from Top Gun! Swoop over Buena Vista Lagoon, California’s first eco-reserve. Get amazing views of affluent Carlsbad Village. From March to May, you’re treated to all the colorful vegetation at The Flower Fields. Head past the mouth of San Dieguito River to the Del Mar Racetrack. 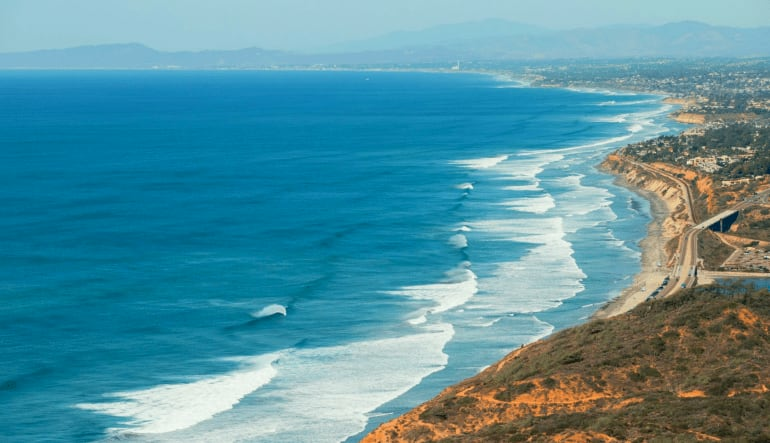 Continue to the cliffs of Torrey Pines and the 2,000-acre Torrey Pines Natural Reserve. See the Torrey Pine's Golf Course, home to the PGA Farmer's Insurance Open. 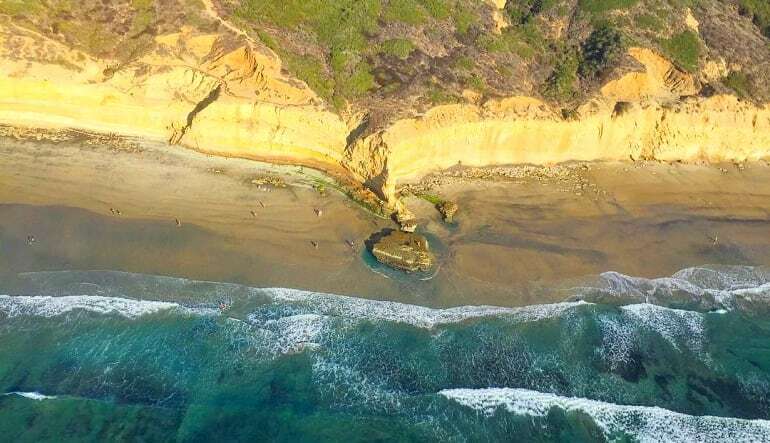 Blacks Beach, La Jolla’s Underwater Park, University of California San Diego—the list goes on! Look for whales, dolphins, sharks and other marine life! 3rd Passenger Rides for Free! “Biggest”, “most famous”, “oldest”, “tallest”—expect to hear all these adjectives as you soar high about SoCal for a sprawling 56 miles. Spots fill up quick, so book yours today! Great pilot who kept good conversation going. Pointed out all the best lookouts and circled back around for dolphin viewing. What a great experience! Outstanding experience in every way. Professional and personable, which is a rare combination anymore. I highly recommend this helicopter tour.